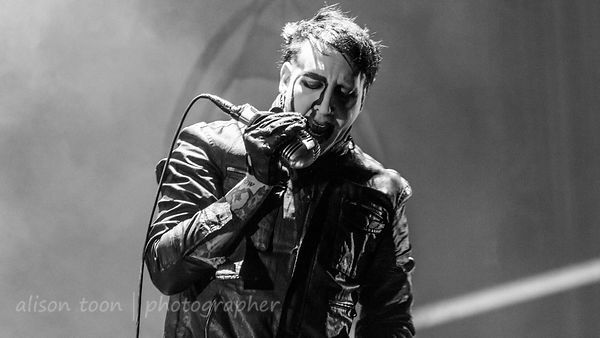 Many requests for the Marilyn Manson photos from this weekend's Monster Energy Aftershock festival in Elverta, just outside Sacramento. 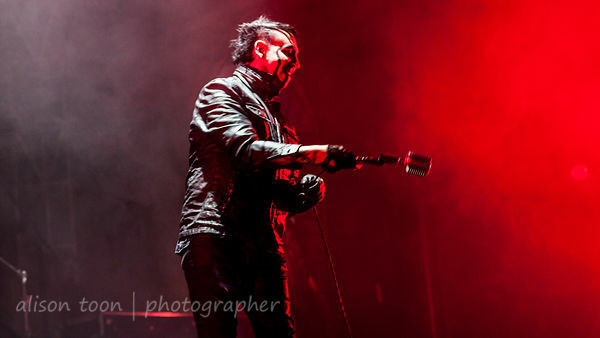 So here they are: first full set of photos, Marilyn Manson, for your viewing pleasure. You ask, what did he do on stage? Did he cut himself with broken bottles? Was there blood? What did he do to the bible? Was he satan? Was he drunk? Who did he spit on? He emerged from the smoke, shady, swinging the microphone like a subtle weapon, sly smiling. So much of Manson's persona is built on our own imagination, and on mass-misinterpretation of his words and actions... he's a musical illusionist, messing with our post-religious psyche. Underneath is an extremely intelligent man with a few of his own pet demons. 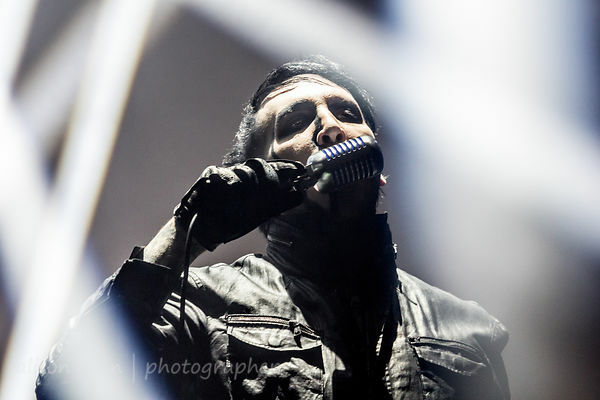 So... just what did you see Marilyn Manson do on stage? 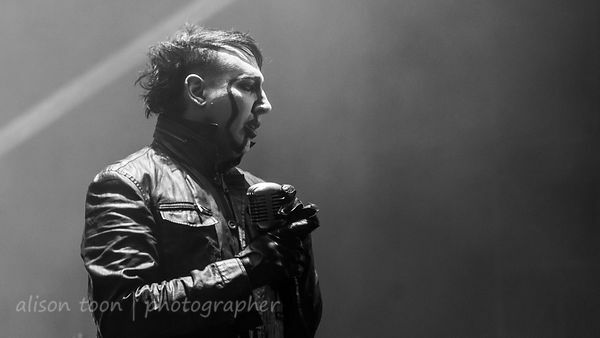 Many more photos from the show in the Marilyn Manson photo gallery. Can't remember ever seeing him with so many clothes on,lol. Getting older and losing the figure I guess.